Tasted from magnum, the 2002 Salon is utterly magnificent. The flavors are finely sculpted throughout in a Champagne that impresses for its tension and total brilliance. Lemon peel, white flowers and crushed rocks race across the palate as the 2002 captivates all the sense with exhilarating drive. In the big bottle the 2002 is naturally a bit less expressive than the 750s, but that is an advantage in a rich, opulent year like 2002. In top vintages, Salon is often magnificent, but from magnum it can be truly transcendental, as it is on this night. 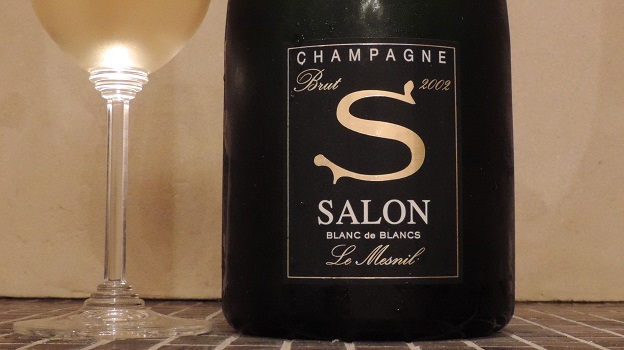 The Salon magnums get about six more months on the lees vis-à-vis the 750s, but it is the size of the bottle that probably plays the largest role in preserving freshness. Readers who can track down magnums of the 2002 should not hesitate. 97+/Drinking window: 2018-2032.